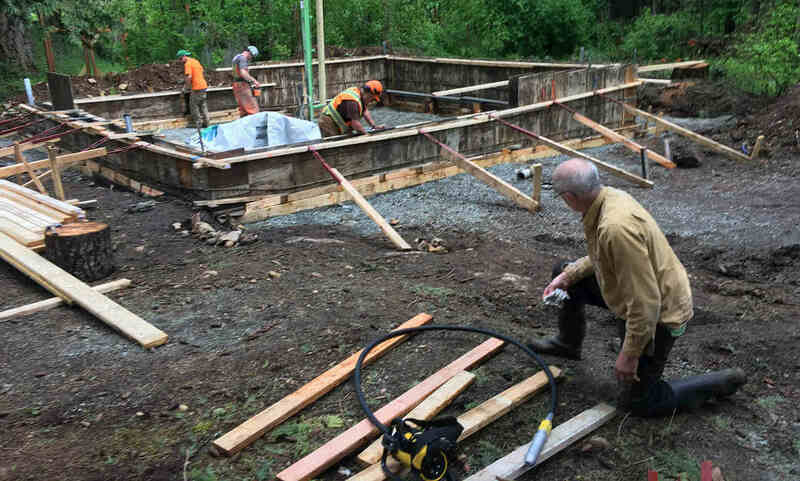 Kelsey and the Pacific Group crew were hired to help with our new cob built house in Sooke BC with many experimental features focused on earth friendly building concepts, high inefficiencies and solar / geo thermal components. They did our perimeter drainage system and filled our house foundation with 34 truck loads of road base for our solar / geo thermal heating system and back filled and graded around the house. It was hot, grueling, back-breaking work. But they did it with laughter and smiles on their faces, and even worked the weekend to get it done. The work was professional, as per the inspector’s expectation, at the agreed price, and ahead of schedule. Kelsey is an honest, dedicated and an innovative contractor, who does the job right. He is a man of many talents with lots of thoughtful contributions.